Updates to Raelene's profile since your last visit are highlighted in yellow. What elementary schools for K-8 did you attend and which was your favorite? Raelene Olcese Guzzardo has a birthday today. Raelene Olcese Guzzardo added a comment on her Profile. Raelene Olcese Guzzardo has left an In Memory comment for her Profile. Very sad news to hear. It was so wonderful to be reacquainted with Jim through Classmates... He was always so positive as he shared news about his illness. My thoughts and prayers go out to his family. Rest in peace my high school buddy! Raelene Olcese Guzzardo updated her profile. View. Raelene Olcese Guzzardo posted a message. Hope the new year brings you nothing but the best and you're hanging in there with your treatment--- I am a +5 year cancer in remission so I can relate--- wanted to send you good wishes for a while but have been off class mates a bit. I raised 3 sons in New Baltimore and now currently reside in Macomb. My son has a restaurant in Marine City and I'd love to get an old group and spouses to go there this spring! I have fond memories of our friendship in English class three straight terms! Wishing you the best and prayers too! Raelene Olcese Guzzardo added a comment on her Profile. New comment added. 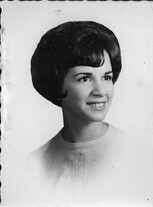 Hi Dian I still have your senior picture I dug all my senior photos out and there you were!see you at reunion! !